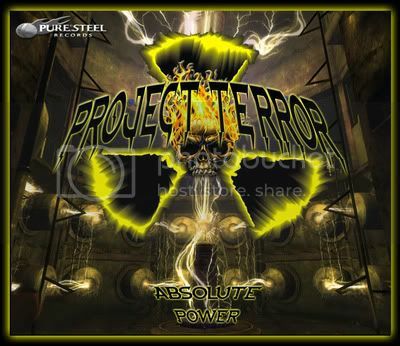 BLOOD REDSKIES - featuring ex-VICIOUS RUMORS frontman Ronnie Stixx - have changed their name to PROJECT TERROR. Ronnie Stixx states: "After fours years of establishing the name Blood RedSkies, I know people are saying, 'What the hell?' Well, I thought long and hard about the name change even though I love the name Blood RedSkies. I even named the band after a song I wrote. But at the end of the day, I just wasn't really happy with it. I have always wanted to call the band Project Terror after a local Sci-Fi/horror TV show from 1970 which originated in my hometown San Antonio, TX. As a kid, this show would scare the hell out of me. Through the years, I knew I wanted that name for a band. The name fits the new energy and direction in which the band is going. The debut CD will now be called Absolute Power." The CD will be release through Pure Steel Records and it will have a total of eight tracks, which includes two bonus tracks.